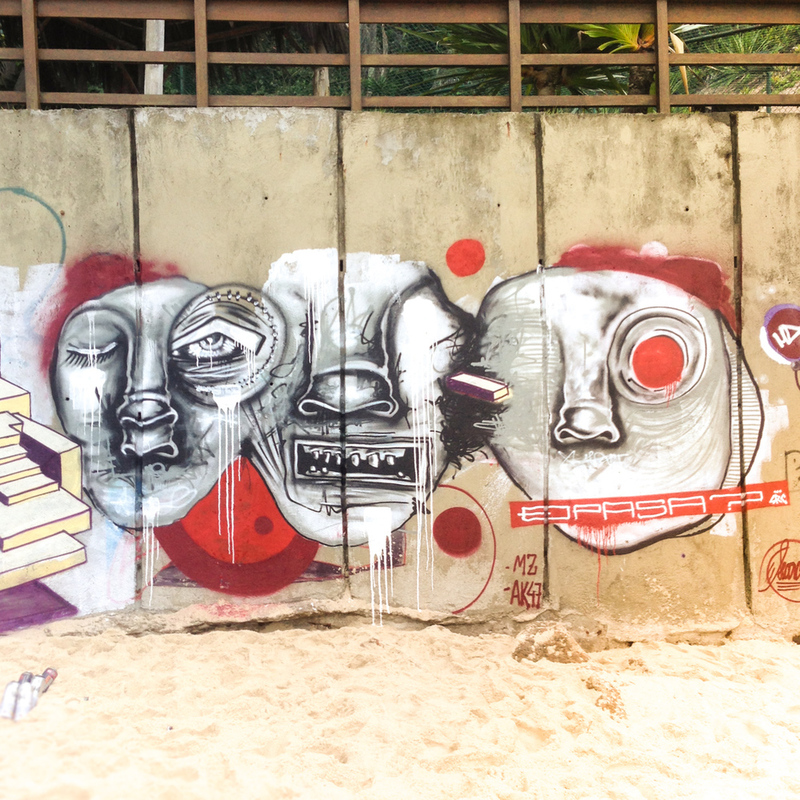 SHIRO, Japanese street artist, was spending some time with us in Rio de Janeiro. We didn't have much free time, the weather was rainy, and we were looking for something that could represent the city, to mark her trip. 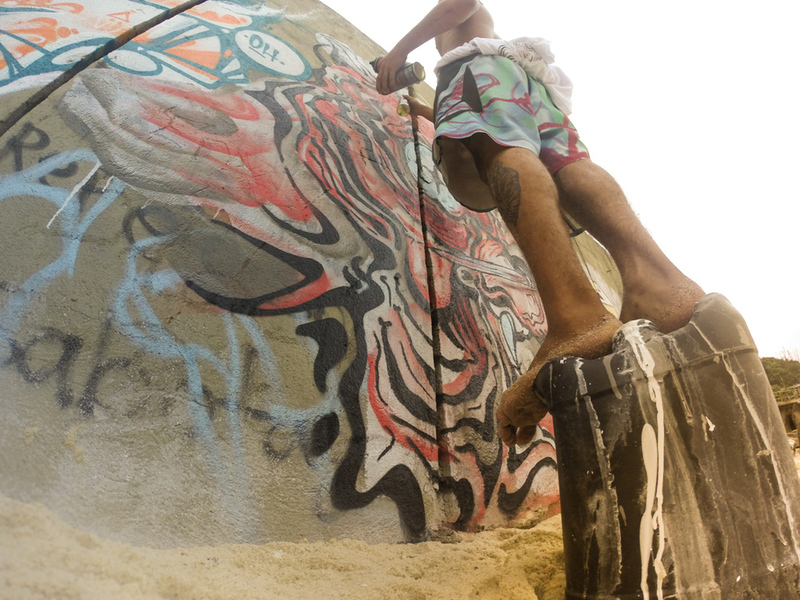 PHAME, Brooklyn writer, had the perfect idea, which joined the three elements we wanted: Graffiti, Beach, Morro (a brazilian slang for "slums"). 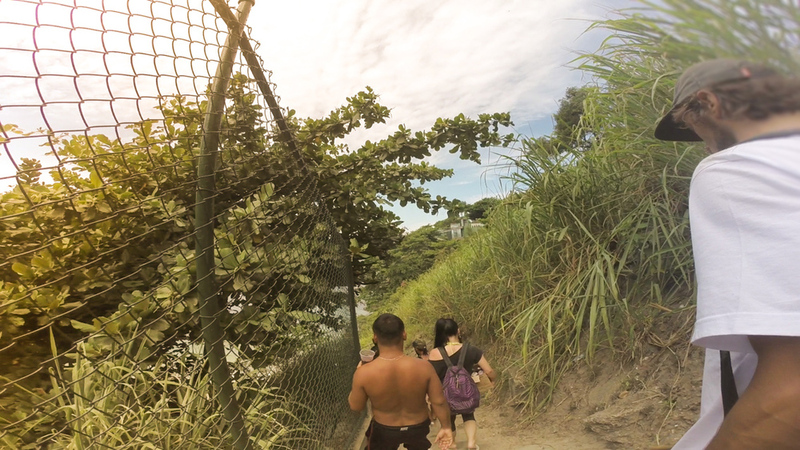 The sun came out, we parked the car in a 5 star hotel, passed by the entrance as a group of beggars carrying gallons of paint and bags of spray cans, went down the hill, and put our foot on the sand. 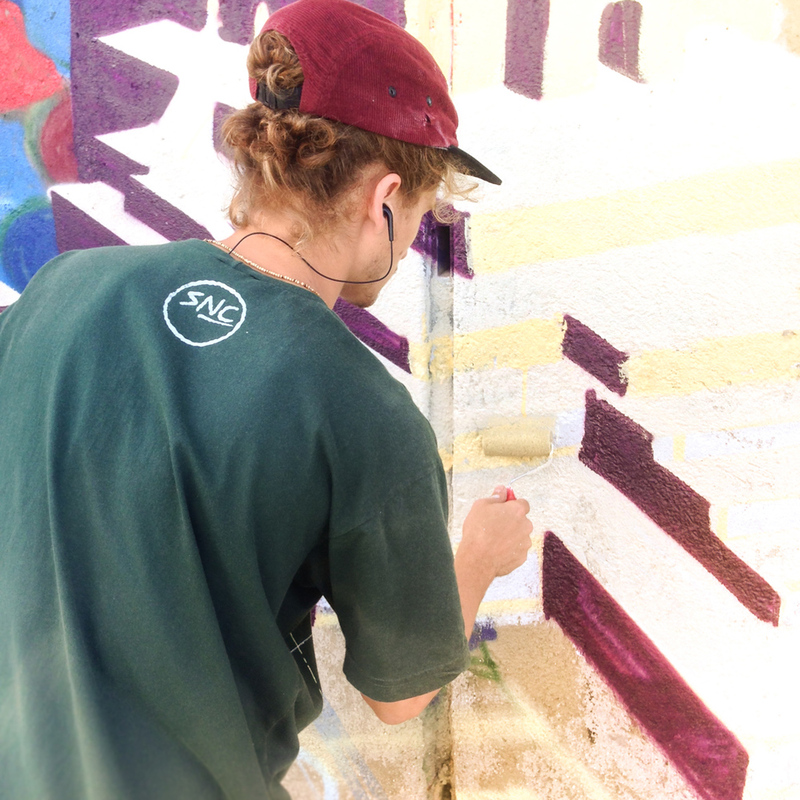 Without much planning, improvising with the supplies we had at hand, we scratched the concrete between smoke balls and trilingual conversations. 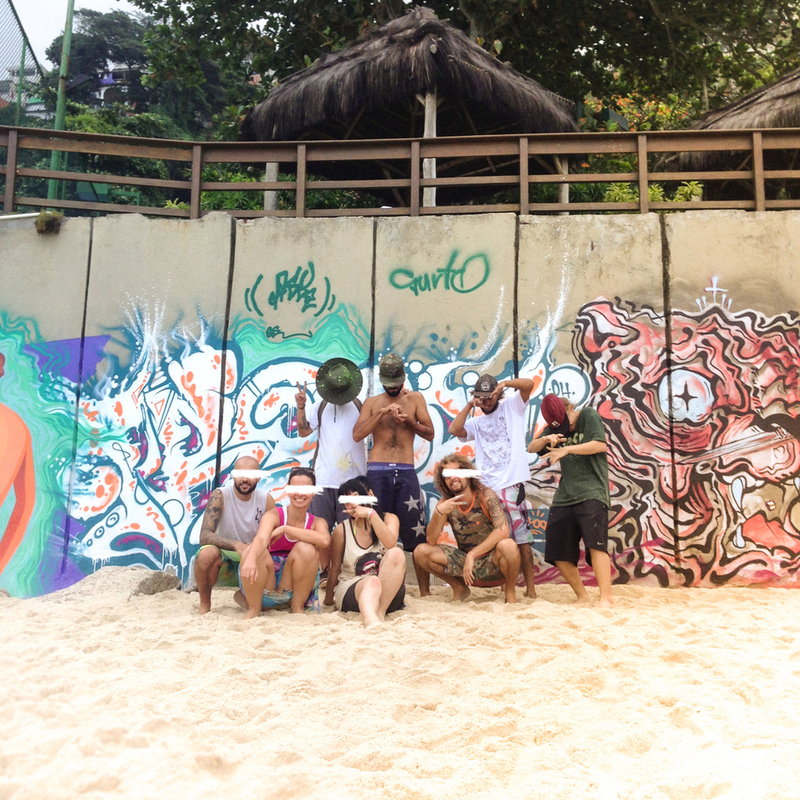 In total, eight heads painting on that wall: AK47 (RJ) - SHIRO (Japan) - PHAME (Brooklyn) - BELLA (RJ) - PROPS (California) - TIÃO (RJ) - TED (RJ) - SRC (RJ) ... we were also lucky to meet MARINHO, EMZ and DK ... known local writers from Rio de Janeiro passing along the beach. Sometimes it is difficult to invest attention in the wall, due to the anxiety of talking to many brothers of the scene, and with so much natural beauty around. The day insisted on keeping sunny, and the sea air only brought good feelings. I doubt that any of us has regretted the choices we made on that remarkable day. 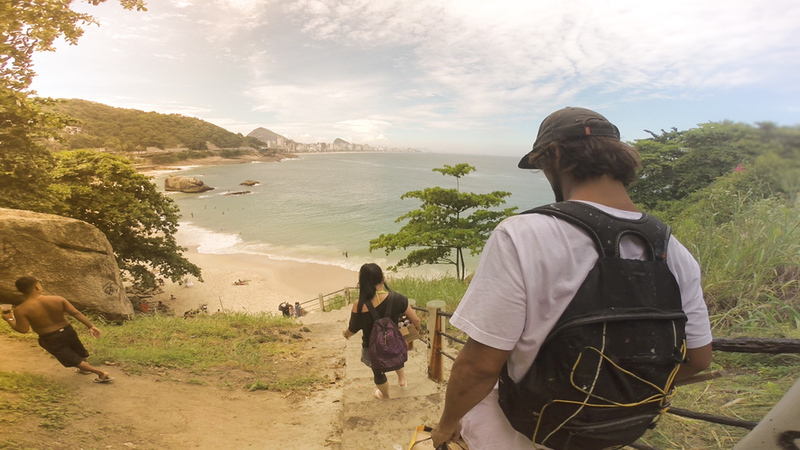 SHIRO, artista de rua do Japão, estava passando uns tempos com a gente no Rio de Janeiro. 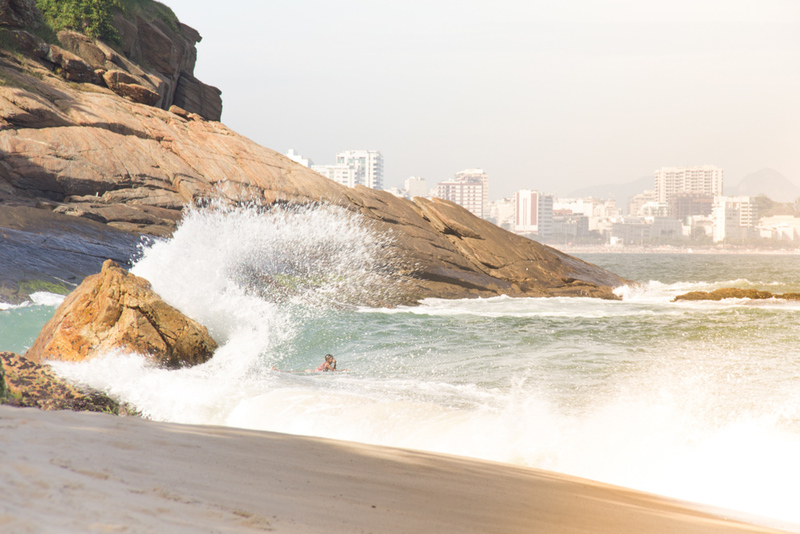 Não tínhamos muito tempo livre, o clima estava chuvoso, e procurava-mos algo que representasse bem a cidade pra marcar a trip dela. 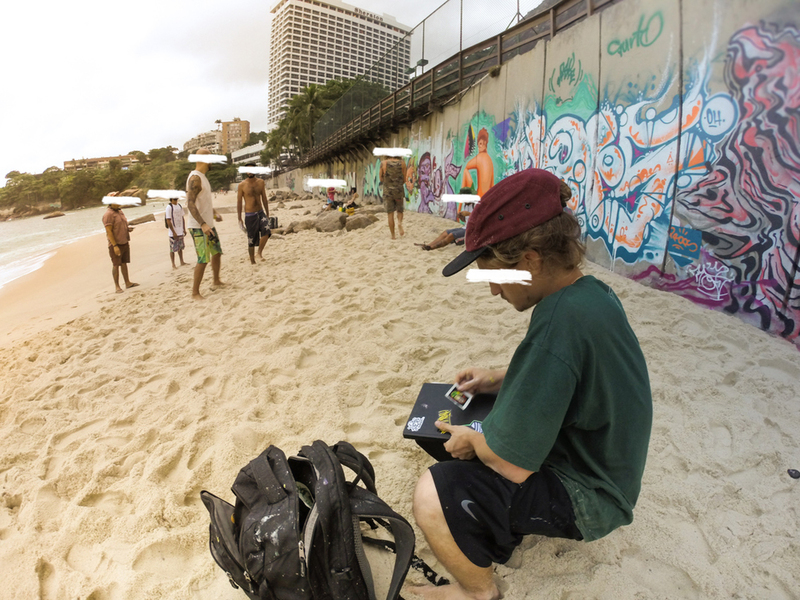 PHAME, escritor do Brooklyn fez o convite ideal, que juntava os 3 elementos que a gente queria: Graffiti, Praia, Morro. O sol apareceu, paramos o carro num hotel 5 estrelas, passamos pela portaria como um grupo de mulambos carregando galões de tinta e sacolas de latas de spray, descemos a encosta, e colocamos o pé na areia. Sem muito planejamento, improvisando com o material que tínhamos em mãos, riscamos o concreto entre bolas de fumaça e conversas trilingues. 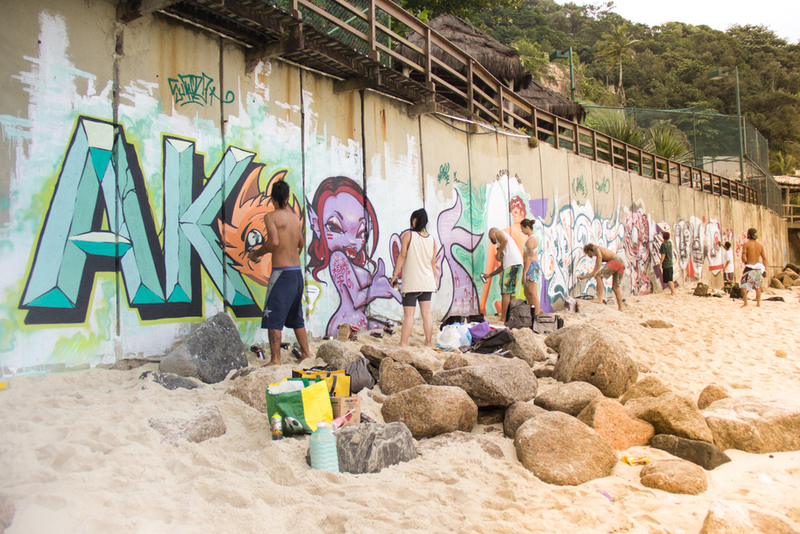 Ao todo, 8 cabeças pensantes naquele muro: AK47 (RJ) - SHIRO (Japão) - PHAME (Brooklyn) - BELLA (RJ) - PROPS (Califórnia) - TIÃO (RJ) - TED (RJ) - SRC (RJ) ... tivemos ainda a sorte de encontrar com MARINHO, EMZ e DK ... locais do Rio de Janeiro que passavam pela praia. As vezes é difícil investir atenção no muro, em meio à ansiedade de conversar com tantos parceiros da cena, e com tanta beleza natural ao redor. O dia insistiu em se manter ensolarado, e a maresia só trouxe bons frutos. Duvido que algum de nós tenha se arrependido das escolhas desse marcante dia.